We are thrilled that Colorist Holly Greig who has graded out of our New York and London studios has been included on Free The Bid's new Colorist database as a continuation of their mission to combat systemic bias in the advertising industry. Initially featuring a list of women directors they have recently broadened their categories into editors, and DOPs and now Colorists. 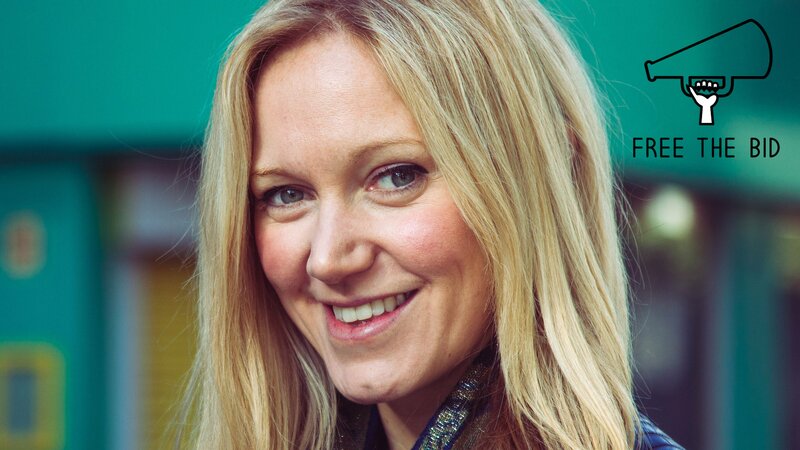 Since joining Freefolk Holly has graded many beautiful short films including ‘Just Gone' which premiered at The Short Film Corner at Cannes Film Festival 2017 and was flown to Freefolk’s New York office to work with an all female crew for Google Play ‘Change The Game’ spot, directed by Park Pictures’ Lisa Rubisch, which was a highlight of 2017. 2018 has seen her develop her commercials client base including spots for Virgin Atlantic, Sainsbury's, Lady Vendredi, Rankin, HP, Glamour UK and H&M. “Role models matter. Little girls need to see big girls names on credits for films and see that it’s possible to become a creative, a director, an editor, a DOP, a colourist, a VFX artist or a decision maker. Free The Bid is a revelation and taking us one step closer to equality in our industry” Says Justine White, Co-Founder and MD of Freefolk. "We are very proud to be a part of this movement and a supporter of Free The Bid"